Under the tireless leadership of President Donald J.‭ ‬Trump,‭ ‬my Department and the rest of the administration have been acting to fuel a vast economic resurgence.‭ ‬Nearly everything about the latest period of economic growth is unprecedented.‭ ‬More Americans are working now than ever before in the history of the country.‭ ‬Over the past year,‭ ‬approximately‭ ‬2.5‭ ‬million jobs were created,‭ ‬and,‭ ‬in‭ ‬2018,‭ ‬the number of new job openings outpaced the number of unemployed workers for the first time since the job openings‭’ ‬data was compiled.‭ ‬In the longest streak in nearly‭ ‬50‭ ‬years,‭ ‬the overall unemployment rate has remained at or below‭ ‬4‭ ‬percent for the past‭ ‬12‭ ‬months. Thank you for all you have done and will continue to do to rebuild the American economy. 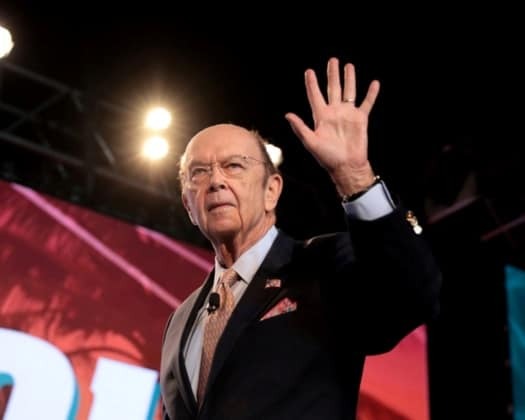 Wilbur Ross is the 39th Secretary of Commerce.